After a smash-hit season on London’s West End, home-grown dance quintet, The Tap Pack are returning Down Under to make their triumphant debut at the Sydney Opera House. Taking over the Studio for three weeks from October 17, The Tap Pack will dazzle audiences with a cast of true triple threats who sing, dance and deliver witty banter live on stage. 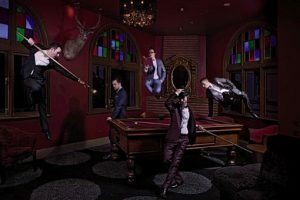 Picking up where the Rat Pack left off, these slick-suited and sharp-witted performers give a modern twist to the music of popular crooners from the 1950s through to the pop stars of today. 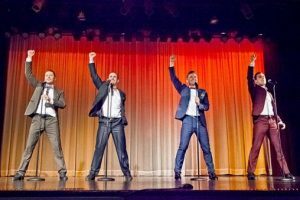 The show contains songs that were made famous by Frank Sinatra, Dean Martin and Sammy Davis Jr, as well as hits by Ed Sheeran, Michael Bublé and Beyoncé, all infused with the grace and skill of tap dancing legends Fred Astaire and Gene Kelly. This toe-tapping experience was fittingly dreamed up on a napkin over a cocktail by creators Jesse Rasmussen, Thomas J Egan, Jordan Pollard and director Nigel Turner-Carroll. Audiences will be treated to traditional tap dancing as well as modern percussive interpretations of the art form. Pollard (Anything Goes, Guys and Dolls, Singin in the Rain) performs a jaw-dropping solo, tapping out a frenetic rhythm with a box drum and lightning-fast footwork before leading a rousing acapella audience participation moment. A breathtaking improvised rhythmic display by Thomas J Egan (Tap Dogs, The Great Gatsby, So You Think You Can Dance) is another a surefire way to get the Studio swinging and tapping along.